03 Dec 2018 --- AgriProtein, one of the leading firms in insect technology and fly farming, is looking to expand its reign on the European market by acquiring Millibeter, a Belgian headquartered insect feed company. AgriProtein will fund the construction of the first full-scale Millibeter factory in Belgium. The business move comes at a time when EU focus starts to shift towards alternative sources of protein, with insect protein gaining momentum. Based in Turnhout, in the Belgian province of Antwerp, Millibeter utilizes the black soldier fly to convert EU-approved organic substrates like vegetable waste into useful products for the feed and pharmaceutical industries. Previously, AgriProtein announced a joint venture with Sustainable Protein in the Netherlands and this, in combination with the acquisition of Millibeter, establishes AgriProtein’s presence in the Benelux region and reinforces its position as the world’s leading up-cycler of organic substrate to protein. “Outside of Europe, we are expanding in Asia, California, the Middle East, and South Africa. Millibeter was chosen as the best-suited company for acquisition as it has several complementary technologies, an experienced team of staff, as well as a vision and mission that fits well with that of AgriProtein’s,” Ian John Banks, AgriProtein Executive Assistant tells FoodIngredientsFirst. “Our next step is to break ground in two factories in Europe in 2019 as part of our global factory roll-out,” he adds. AgriProtein has raised US$105 million since June 2018 and is building a global business through its circular economy model: upcycling organic substrate into insect protein. 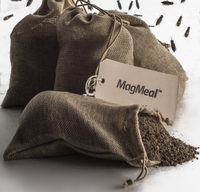 The company uses black soldier flies and their larvae to turn these organic materials into a high-protein alternative to fishmeal for use in aquaculture feeds. Millibeter CEO, Johan Jacobs, along with an assortment of entomologists, organic chemists and engineers will form a new AgriProtein European R&D team. “The team at Millibeter are excited to join AgriProtein and add value to their global project roll-out plans and R&D programs. We have always believed in the potential of the organic nutrient recycling market in Europe. This investment is a significant vote of confidence in that industry,” Jacobs comments. Prior to AgriProtein’s acquisition of Millibeter, the latter received investments by Belgian investors and the Innovation Fund, which invests in innovative start-ups and companies in the field of chemistry and life sciences. Using Belgium as its base, Agriprotein aims to build several plants across Europe. Additionally, the Innovation Fund offers Agriprotein access to their network of specialty chemical and life sciences companies. Click to EnlargeMillibeter utilizes the black soldier fly to convert EU-approved organic substrates like vegetable waste into useful products for the feed and pharmaceutical industries. “EU regulations are stricter than in any other parts of the world. This is one of the reasons why we value the investment of AgriProtein in Europe, and particularly in the Benelux region. We have supported Millibeter for the past two years and the friendly takeover by AgriProtein will allow the company to become a major actor in the circular economy in Europe, with two plants in Belgium and least one in the Netherlands and hopefully more,” Edith Coune, Innovation Fund General Secretary, tells FoodIngredientsFirst. 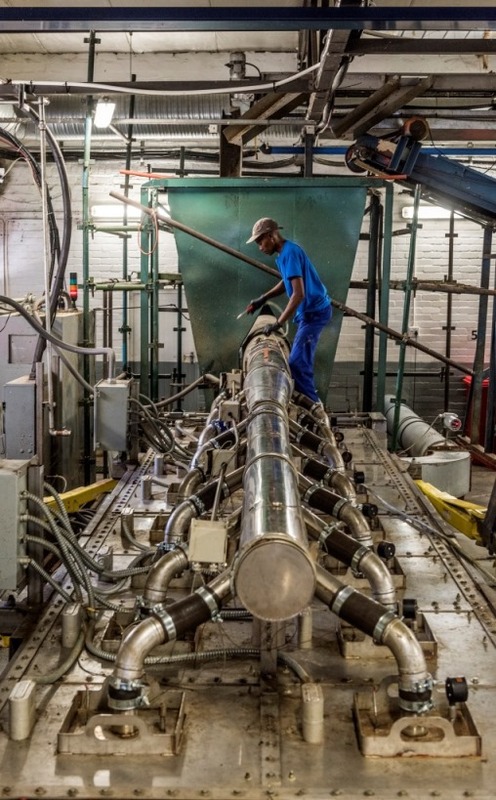 Drew says: “The company has recently expanded its R&D capability to over 45 people based in its state-of-the-art chemistry and genetics laboratories in Cape Town. It has also hired senior staff from engineering and organic substrate management backgrounds to increase its project roll-out capacity. The company is focusing on the aquafeed market, where demand is increasing year on year to satisfy increasing consumer demand for farmed fish.”According to Reuters, the aquafeed industry is predicted to double by 2026 and was worth over US$100 billion in 2017. “There is simply not enough marine material left in the oceans to meet fishmeal demand in aquafeed, let alone in other markets. Along with algae and bacteria, new, disruptive sources of protein like our own are needed to close the feed gap and, in the process, help repair the future of the planet,” adds Drew. Interest in alternative proteins and sustainable food production continues to rise, and the European umbrella organization representing the interests of the International Platform of Insects for Food and Feed (IPIFF) has emphasized the potential of the European insect sector in creating a more competitive and sustainable value chain. IPIFF President Antoine Hubert believes that the current European Regulations and EU funded research programs offer many opportunities for insect producers to develop, but the current regulatory framework must be adapted to ensure that this potential can be fully exploited. Gathering in Brussels for the IPIFF 2018 Annual Conference last month, 200 participants, including European Commission Officials, Member States representatives and other delegates ranging from the insect sector, agri-food industry and scientists, recalled the potential laying in insects for food and feed, while highlighting the importance of EU legislation for the development of the sector. The event also explored different avenues for insect producers to best respond to European consumers and farmers’ demands, notably in the context of the EU Protein Plan. Moreover, last month, the European Commission adopted a report on the “Development of Plant Proteins in the European Union” intended to explore new pathways in response to the protein deficit in Europe. The document was presented on the occasion of a high-level conference co-organized with the Austrian presidency in Vienna. In light of the report, the IPIFF combined forces with the European Algae Biomass Association (EABA) to propose a more inclusive EU action plan in favor of algae and insects as alternative protein sources. Insect proteins hold potential for global nutrition and have come into the spotlight over the past years as being a good source of healthy protein and several other nutrients, as well as more environmentally friendly in their production than many other animal-derived proteins. The one gallon of water it takes to produce one pound of insect protein pales in comparison to the almost two thousand gallons of water poured into every pound of beef destined for human consumption, for example. The shift from mainstream food to feed will remain a challenge, however, as the western “yuck” factor widely associated with insects will need to be overcome.